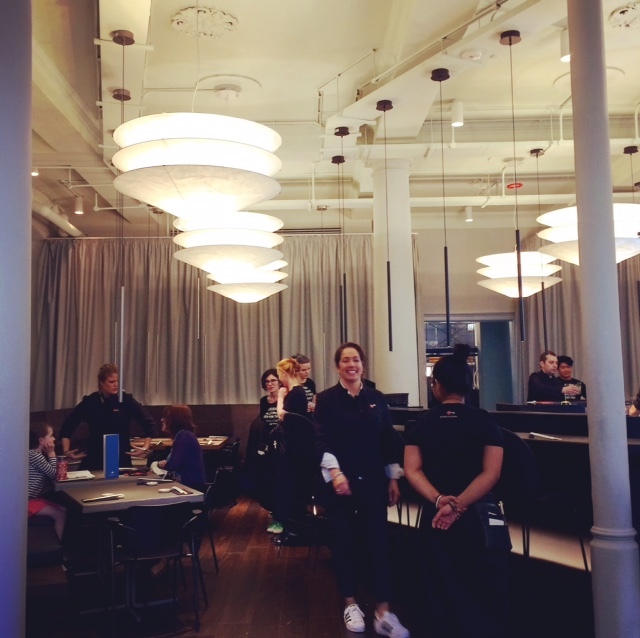 We were seated in the front area at a lovely leather-topped table by the windows. Our waitress, Olivia, was friendly, patient and helpful. The manager, Daniel, came to introduce himself. He was very knowledgeable and effortlessly provided answers to species, provenance and sustainability when I asked about the seafood and fish. Daniel also told me that 10% of the sales from their (still or sparkling) water goes to an organisation dedicated to helping street children in Cambodia (Friends International). It’s a restaurant project that gives street children a chance to get off the streets and into the kitchen. As this was a practice run with complimentary food and drinks, they determined what menu items they would serve us. However, they did ask if there was anything we didn’t like or couldn’t eat. No issues with us and we told them to hit us with their best shot! We were given a choice of drinks though and I went for one of their cocktails because I knew from my London experiences that their cocktails are very nice. I ordered the Hotaru, which I never tried before. 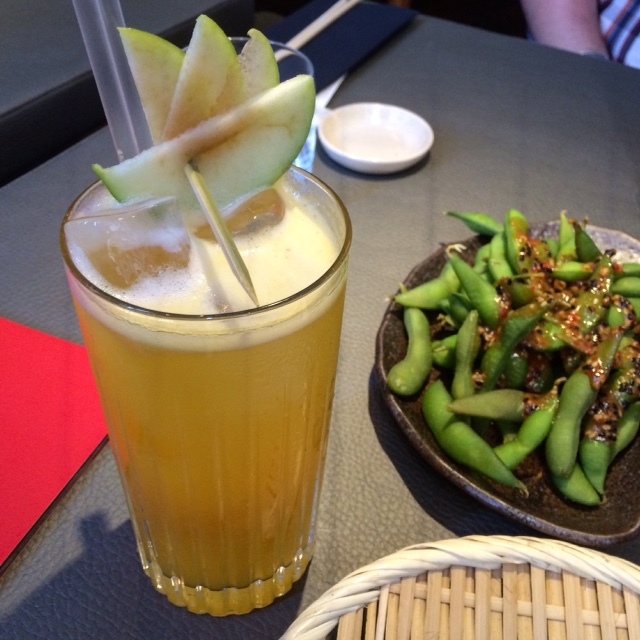 I absolutely loved this rum based drink, shaken with passion fruit and apple. Described on the menu as “never the wrong choice”, they couldn’t be more right! 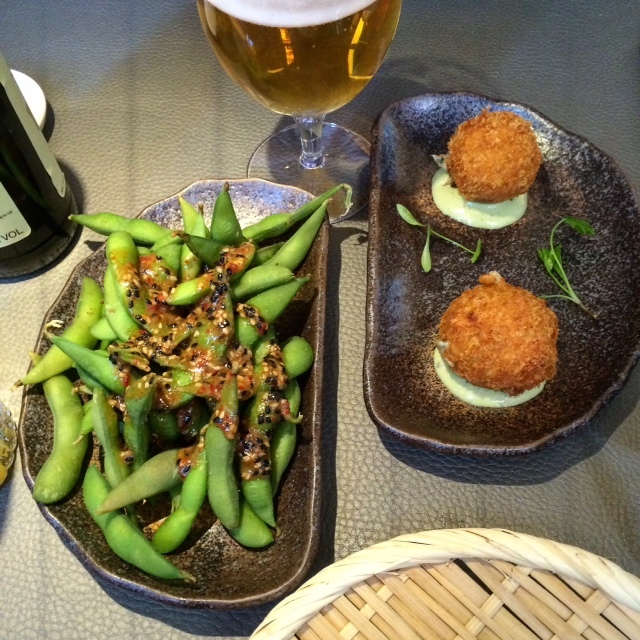 We started off with edamame beans topped with a spicy miso sauce, one of my favourites. They came with a little basket to discard the pods. The beans were addictive and fun to eat. 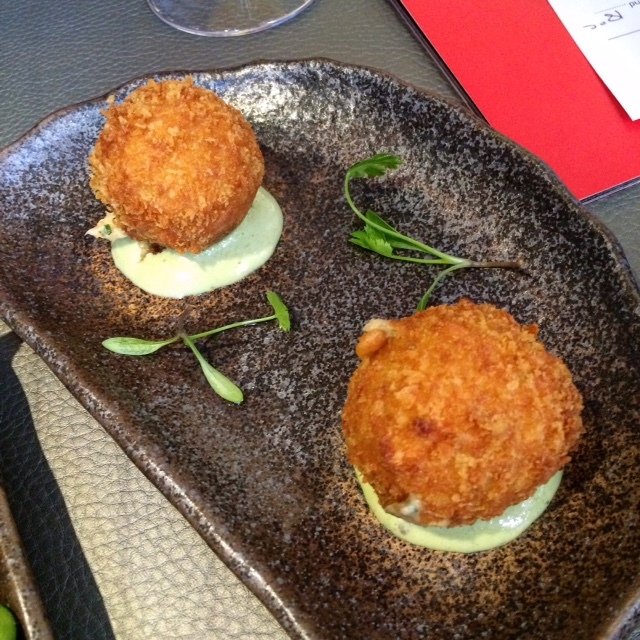 The crab croquettes, a new menu item, were filled with fresh crab and sat on a tasty wasabi caesar sauce. That sauce was so good, we made sure to mop it all up with the croquettes. 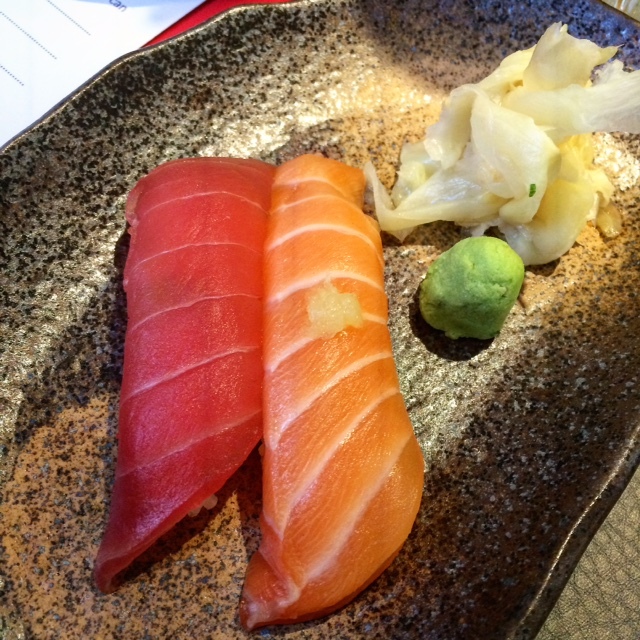 We were then served one salmon nigiri and one tuna nigiri (what is typically known as “sushi” with raw fish and rice). The rice was perfect, with a subtle hint of wasabi. 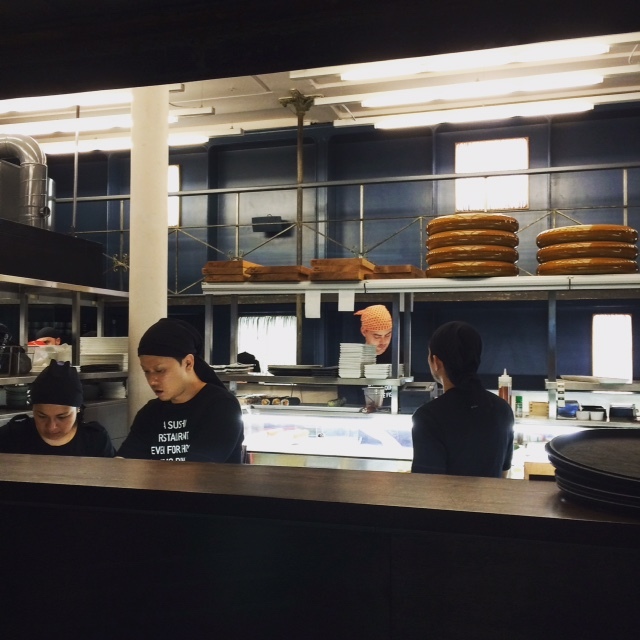 All of the tuna at Sticks’n’Sushi is of the genus yellowfin, which is high quality. The salmon comes from North-West Scotland. Both were extremely fresh. The majority of our meal consisted of four different types of kaburimaki rolls. 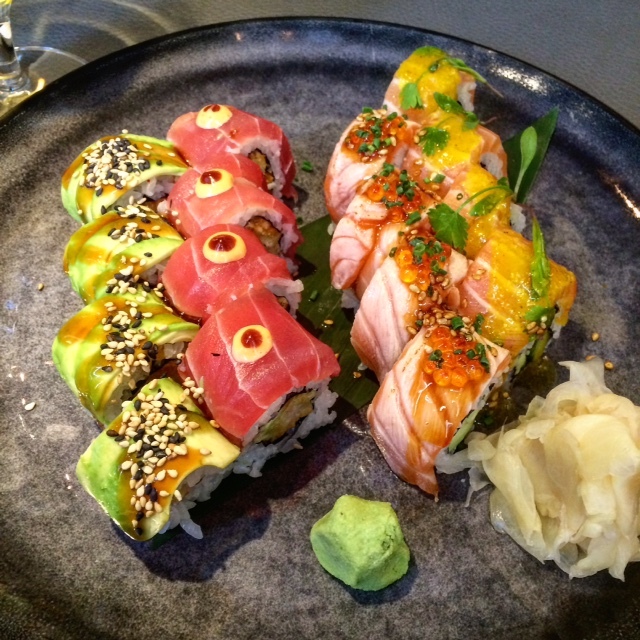 These were based on uramaki rolls (rice outside, nori inside) but the difference is that they were topped with fresh fish or avocado (hence the different term – kaburimaki). These are my favourite types of rolls as it’s almost like having a nigiri but with the other ingredients rolled in the rice providing extra flavour and texture. So many levels of deliciousness! 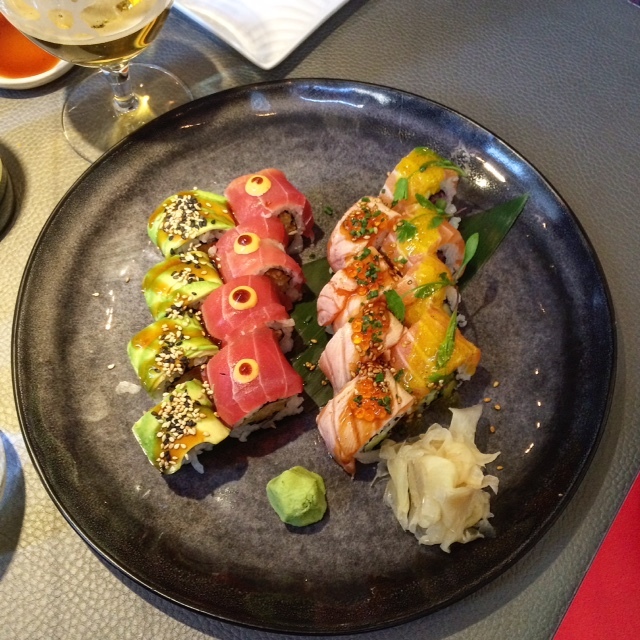 All four types of kaburimaki were incredibly fresh with a combination of exciting flavours. We enjoyed the following kaburimaki rolls: Ebi Panko (tempura shrimp, spicy sauce, topped with avocado and sesame); Hell’s Kitchen (tempura shrimp, avocado, topped with tuna and barbecue sauce); Shake Aïoli (snow peas, avocado, cucumber, miso aioli, topped with seared salmon and trout roe) and Salmon Ceviche (red onion, cucumber, avocado, topped with salmon, coriander and lime marinade). Now I have to admit that I have never tried the “sticks” part of Sticks’n’Sushi as I always seem to go when I’m craving sushi. Ingredients consist of meat, fish or vegetables on a stick. 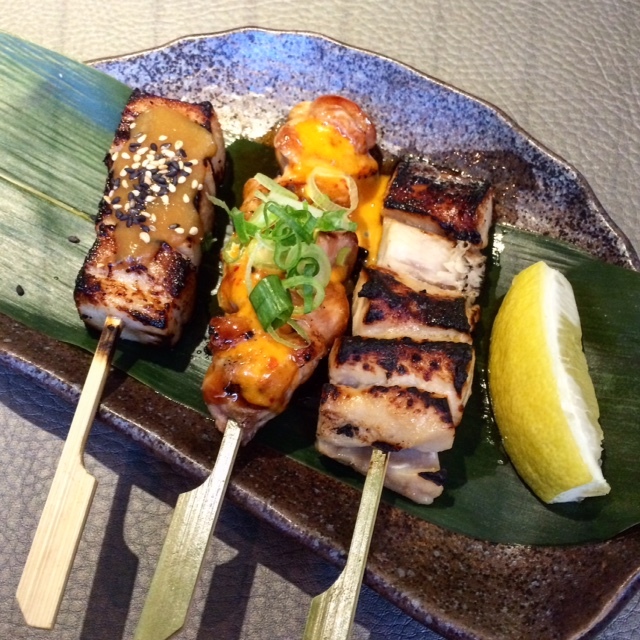 We were served three different types of sticks, all equally delicious: Buta Bara (pork belly with yuzu-miso and sesame); Momo Chilli (chicken, chilli dip, teriyaki and spring onion) and Saba Yaki (miso-marinated grilled mackerel). 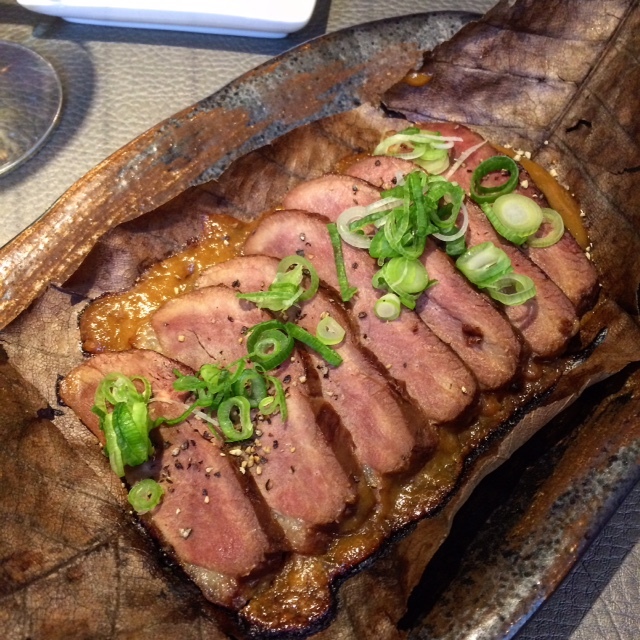 The Hoba Yaki grilled duck breast was a revelation. We usually don’t order duck so I’m glad we were surprised with this dish as the meat practically melted in our mouths. The dish was served on a magnolia leaf (called hoba) with a layer of succulent yuzu-miso, which we used to coat the tender slices of duck. They were topped with spring onions and sancho peppers. There usually isn’t much by way of desserts at sushi restaurants but Sticks’n’Sushi are an exception. 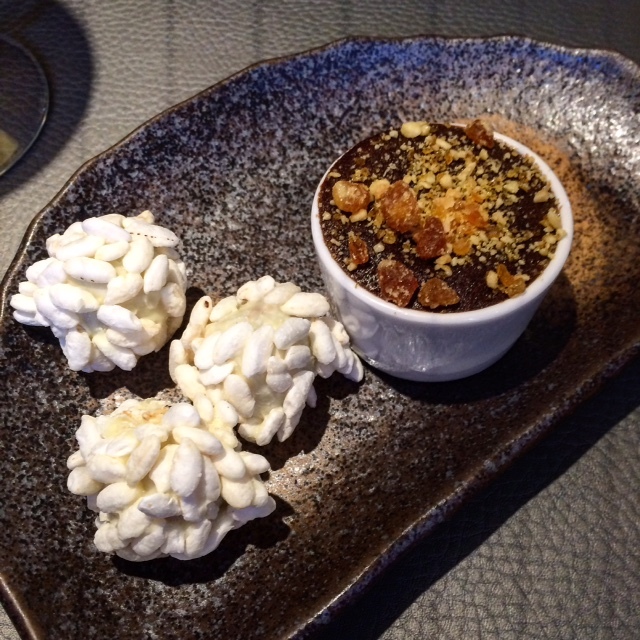 We were given the Fondant (dark chocolate caramel and peppermint core topped with crunchy hazelnut brittle) and White Chocolate (with sweet miso and puffed rice). We’ve had these before so they weren’t new to us but they’re firm favourites so we were happy to gobble them all up. The dessert portions are small so you can either choose to enjoy just one, or engage in a tasting session with more. 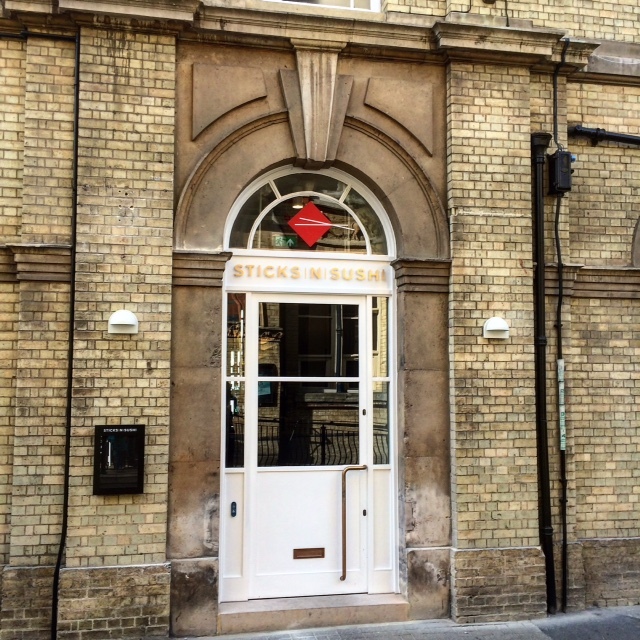 Sticks’n’Sushi officially open on Saturday, 7 May 2016 at 5pm. If you’re planning a visit, I heartily recommend you book! I know this place is going to be one of Cambridge’s most popular restaurants with its lovely ambience, friendly service and varied menu. 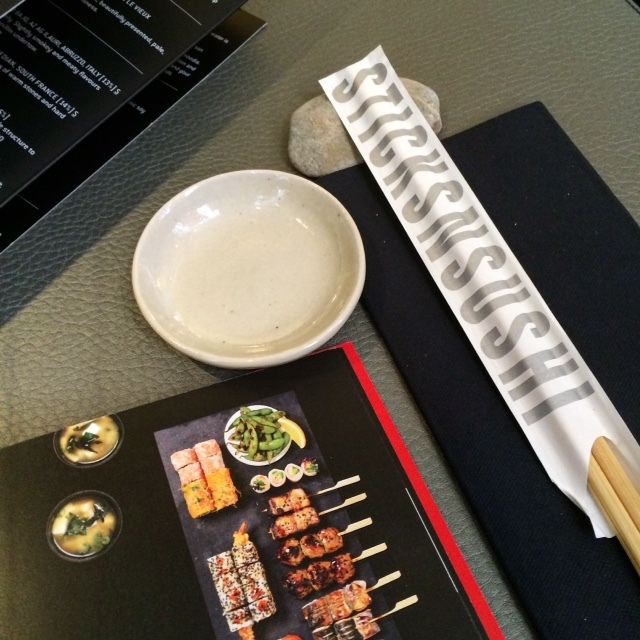 Sticks’n’Sushi invited me to attend the preview dinner. Although the food and drink were complimentary, all views are my own. I did not receive compensation for my review. This entry was posted in Restaurants and tagged Cambridge, crab croquettes, duck breast, kaburimaki, nigiri, sticks, Sticks'n'Sushi, sushi by One Two Culinary Stew. Bookmark the permalink. I noticed this the other day around the corner from where I work so thanks for the review as I will definitely be trying it – we love sushi so this will be interesting. It’s a great place and I’m sure you will love it. 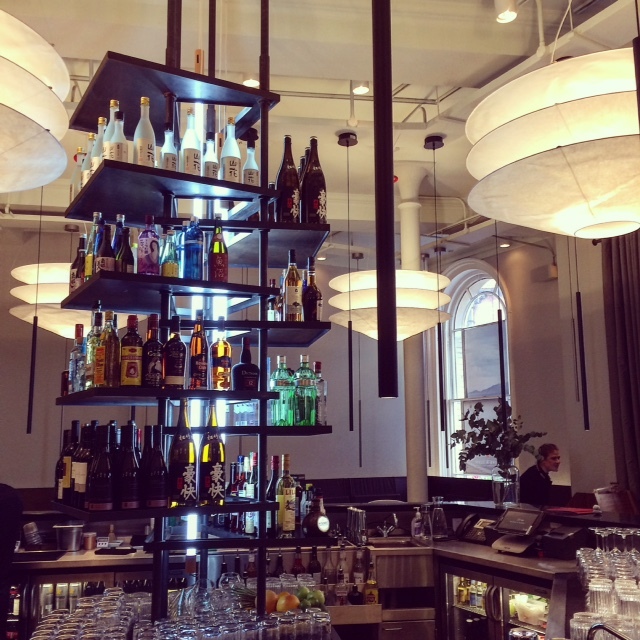 They are very good at helping you choose from the menu so don’t hesitate to ask.